Easy to obtain from this quest, although many people complete it while leveling. Very easy to farm with a 48% drop rate. 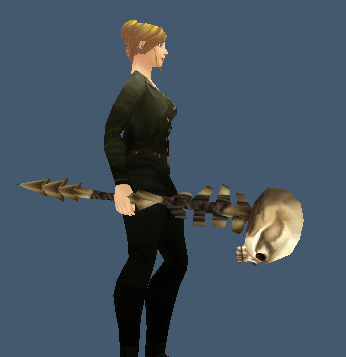 A bone for a mace, but it is unclear if this will be one of those items they won’t allow for transmogging. 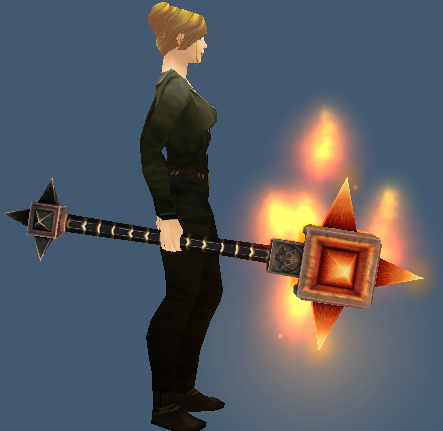 It is easy to obtain for Horde since it drops in Ragefire Chasm, but a little more difficult for Alliance. 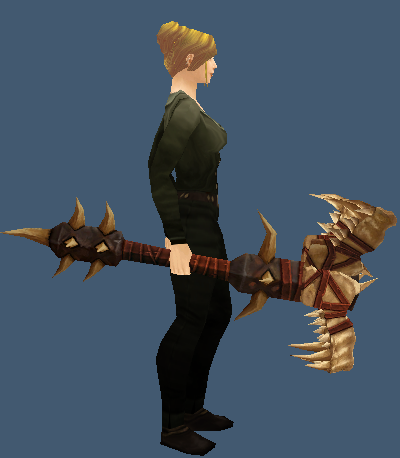 You can probably make a tidy amount of gold reselling this on Alliance side, at least until it is announced whether this is going to be allowed or not. 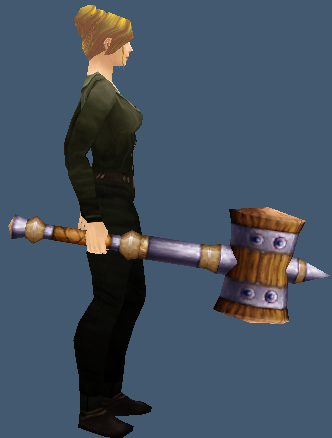 Don’t forget if you queue on a lowbie toon for this dungeon that the mace will bind on pickup if you “Need” on it in a LFG dungeon. 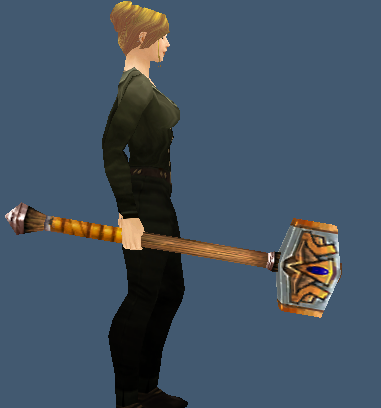 A simple hammer style mace. 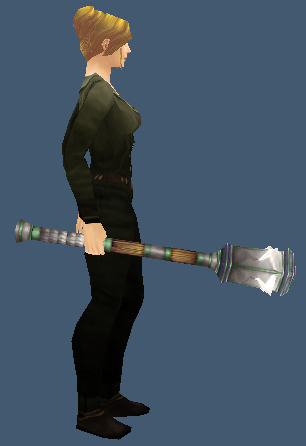 Because of its low level you probably won’t find it on AH, so you will need to grind for it. 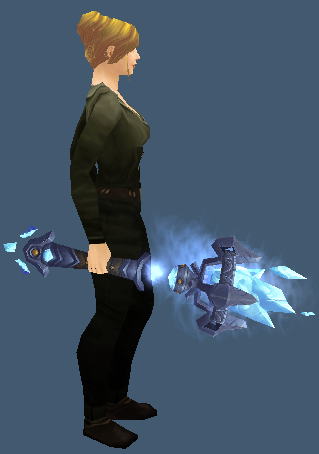 This would look great with some of the icy-look armor out there. 16% drop rate in normal 10M. 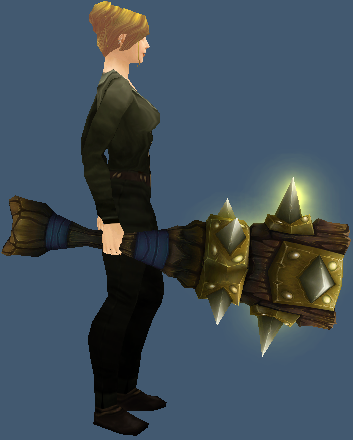 I love the look of this mace. 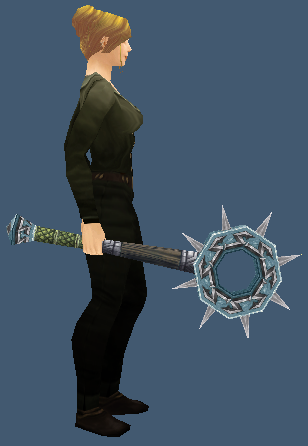 A 22% drop rate. Requires Revered with the Argent Crusade. Drops in normal 10M only. 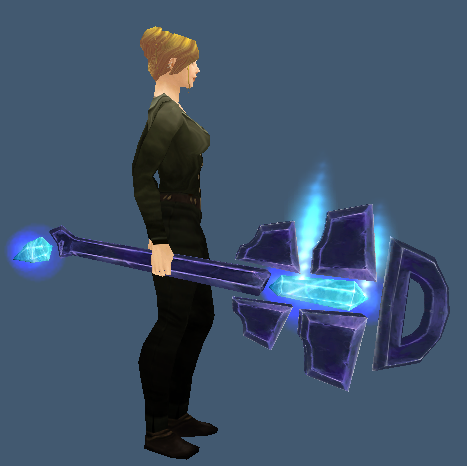 A nice blue glow mace. 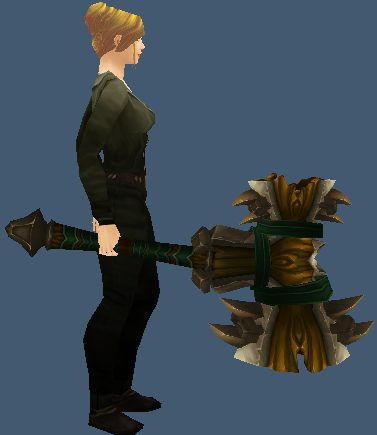 Check the AH for this BOE. 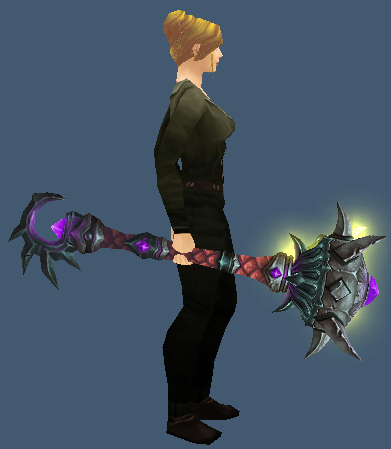 A pretty awesome purple mace. 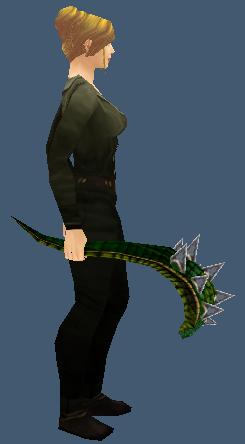 16% drop rate. 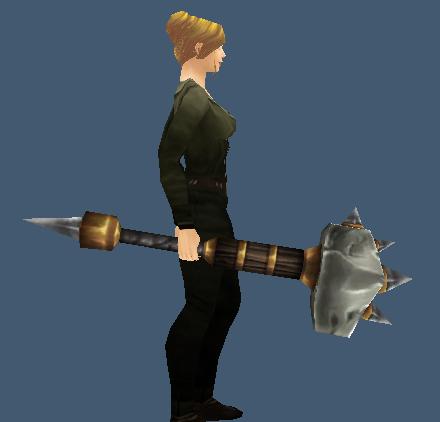 A very unusual model for a 2H mace. 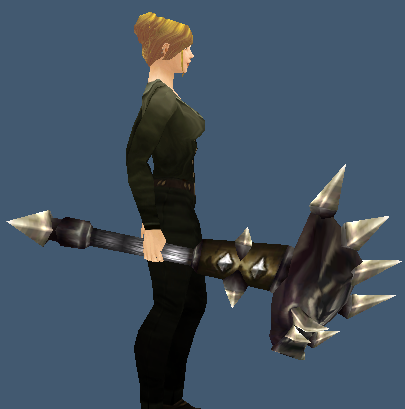 This only drops in heroic mode. 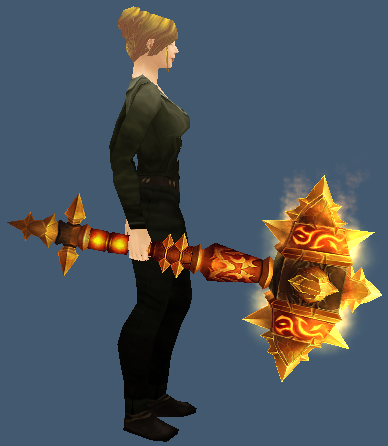 A pretty awesome fiery mace. A random BOE green drop with a random enchantment. 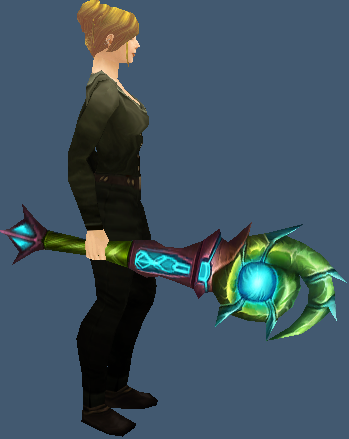 Despite the name, it is just a random BOE green drop with a random enchantment. 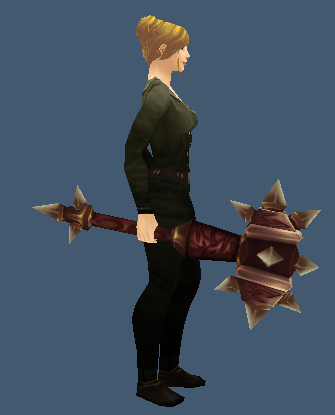 A pretty unusual looking 2H mace. 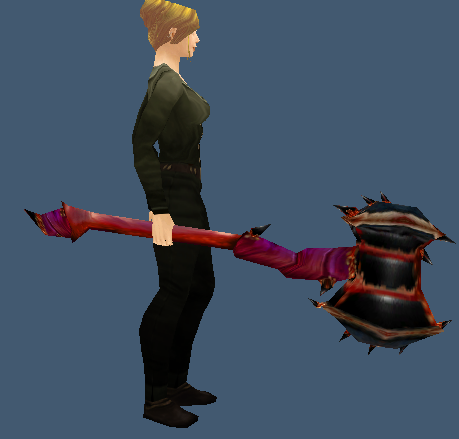 Only a 7% drop rate so it might take some farming to get this in AQ40. It fortunately drops from the first mobs. The head on this spins around. 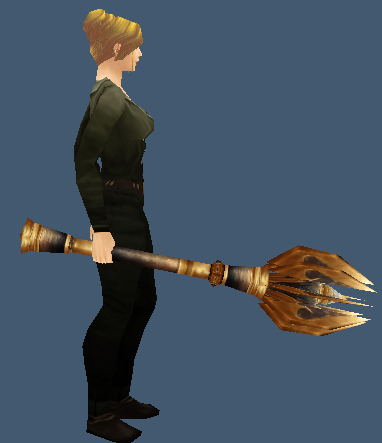 Identical to the heirloom weapon. 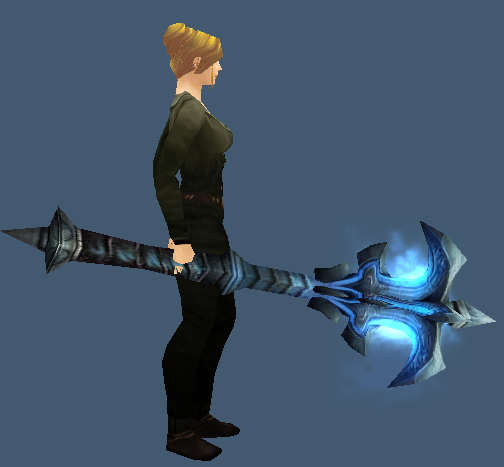 Purchased with 250 honor points by PVP vendors in Alterac Valley and Hillsbrad Foothills. This will cost you a bundle on the AH, either in mats or buying a ready made one. Doesn’t really look good enough to spend that much gold. 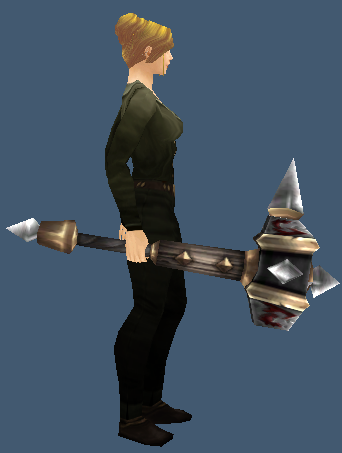 A simple wooden looking mace with a couple big spikes. A nice spiky ball on the head of this mace. 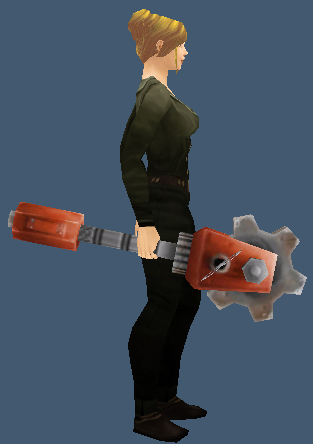 9% drop rate, so might take a few runs, but it is easily solo-able. A nice iron and gold 2H that drops in Stratholme with a 20% drop rate. Easy to farm. 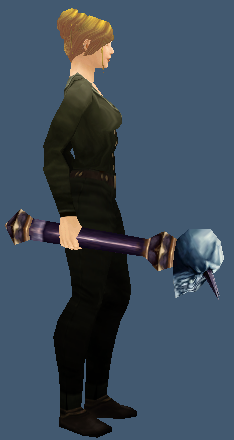 A nice 2H mace with a big skull on the head that reminds be of Rattlegore. Easy to farm. Easily farmed from Princess in Maraudon. 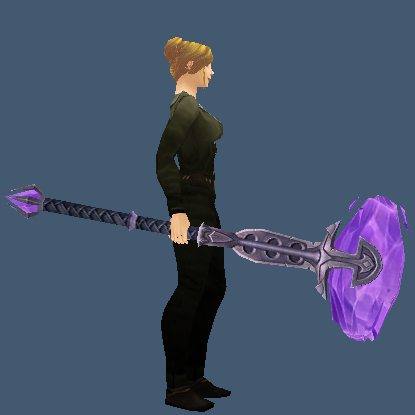 This BOE mace has a low drop rate, check the AH for this one. 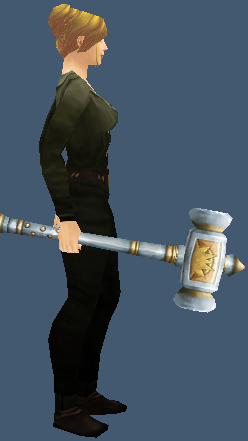 A colorful crafted 2H mace. Very low mats crafted by leveling blacksmiths.